Remove This Item Size: 4 oz. These beautiful glazes are non toxic and lead free, but not all are recommended for dinnerware due to their texture. Remember when “cracking” was a bad thing? 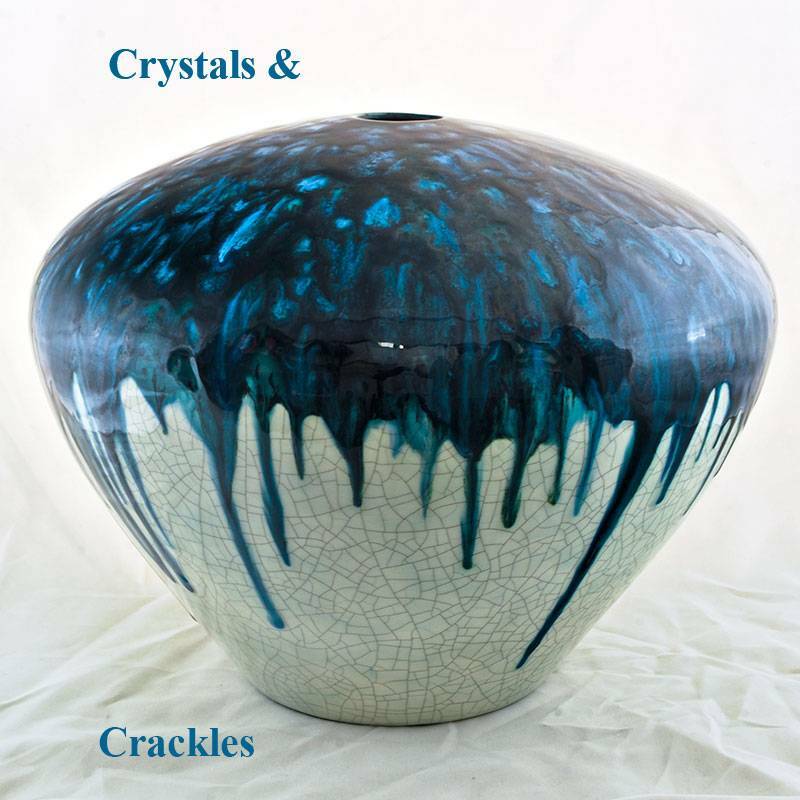 Sidewalks, windows, cups … Thank goodness that’s a thing of the past, thanks to Crackles™ Glazes! Use them to add character to your pieces; these specially formulated glazes create cracks similar to crazing when fired, resulting in a distinctive aged, antique look. For extra depth, highlight the cracks created in the firing by antiquing the piece with ink or acrylic paint. 2019 Copyright New Mexico Clay Inc DBA DUNCANPAINTSTORE.COM . All Rights Reserved.